Landslides are not rare in the Atlantic Rainforest. 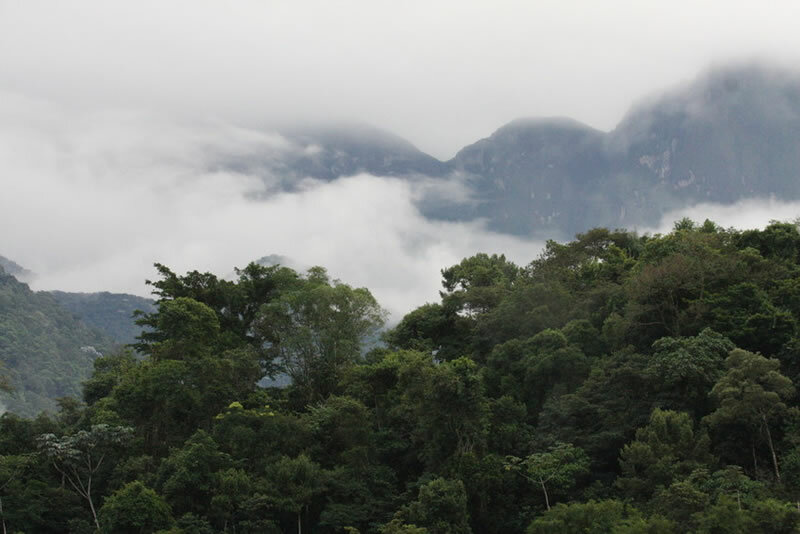 Most of the original forest is on the mountains from north-east to south Brazil and the rain water infiltrates the soil until it reaches the rocks below. When that happens, the water can loosen the soil from the rock causing part of the mountain to slide. Nowadays it is happening more and more often. In 2008 135 people died in a landslide in Blumenau City in South Brazil. In 2010 50 people died in Agra dos Reis – Rio de Janeiro State – in another landslide. In 2010, 229 bodies were removed from under the dirt in a landslide in Niteroi, also in Rio de Janeiro State. This time it was even worse. The body count is still increasing and more than 750 have died in 4 cities of Rio de Janeiro State; Nova Friburgo, Petrópolis, Teresópolis and Sumidouro. These cities are all around the Guapi Assu Reserve (REGUA). Why did the landslides happen? I will tell you…. it happened because there are no more forests on the mountains! The forest tries to come back but humans continue to cut it down. And why is it important to keep the forests? I will tell you that too…..it is important because the roots of a full grown forest work as a support system to hold the land and the plants and soil absorb much of the water. Today I was asked if I had landslide problems in the area where I live. The answer? No. I didn’t! The forests in my area have been preserved for more than 50 years. We had more rain than Petropolis and Terosópolis and not a single landslide occurred. Thanks to the great work of World Land Trust (WLT) and REGUA in restoring the forest in the Guapi Assu Reserve, not a single landslide occurred there either and REGUA is right in the middle of all that tragedy. I feel really sorry for all those people. I really hope that it will open the eyes of the population and the Government to the importance not only of preservation but also of recovering forests. If you have the opportunity to help, please do! Plant a tree or several if you can. If you don’t have space to, then help the World Land Trust by making a donation. You will help preserve and recover forests all around the world as well as their wildlife.